We're half way through Steam's Summer Sale hopefully your wallet isn't half empty yet. On Thursday July 11th at 10AM Pacific the highly anticipated Steam Summer Sale began. 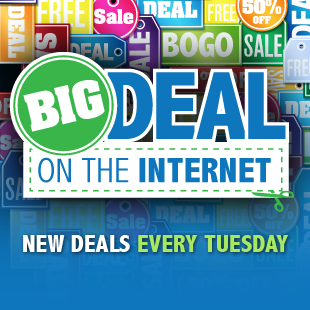 Each day they feature ten "Daily Deals" on their homepage (lasting 48 hours) along with 4 "Flash Sales" refreshed every 8 hours... not to mention plenty of site wide discounts. We've been tracking the sale since the beginning and about half of the games are at their lowest prices ever, with the best deals often showing up in the the 8 hour flash sales. As with all Steam sale events, you should avoid buying a title until the very last day unless its a: daily deal, flash sale, community choice vote, or developer bundle - you never know if the game you want will be cycled into a flash sale later! Not wanting Steam to take away all the PC gamer's attention, Green Man Gaming launched a new 30% off coupon code on Monday. While its not a sales event like their previous "666 Sale," you're still getting some healthy savings on recent 2013 releases such as Company of Heroes 2, Civilization V: Brave New World, and the BioShock Infinite: Season Pass. This ties the highest percentage off coupon code ever offered at Green Man Gaming. A 20% off code is not uncommon, but the last time we saw a 30% was back in December - a whopping 6 months ago. Some strong discounts available on EA titles this week at Gamefly (even if you're not an Origin fan). A 50% off instant savings discount combines with a 20% off coupon code dropping Crysis 3, Battlefield 3: Premium Edition, and Dead Space 3 to only $15.99 (all are normally $39.99). While there's only six games in this GameFly sale, it's good to note that every title available is at its lowest recorded price ever. Day 6 of Steam Summer Sale includes 6 titles that are at lowest ever price, plus 4 titles you should think twice before purchasing (have been cheaper). Check out our daily updated Google spreadsheet as the Summer Sale progress! Crysis 2: Maximum Edition - $8.99 (normally $30). Best ever was $4.99. DMC: Devil May Cry - $24.99 (normally $50). Best ever was $20. Sleeping Dogs - $6.24 (normally $25). Best ever was $5.59. The Secret World - $14.99 (normally $30). Best ever was $10. Some excellent titles not available during Steam's Summer Sale such as Final Fantasy VII. Coupon expires July 19 at 8AM Pacific. EA Origin Sale - Up to 60% off at GameFly. Strong triple-A titles from Gamefly's 2nd round of EA sale. Coupon code: GFDJUL20 or GFDJUL20UK if you're in the UK. Deals expire July 19th at 10AM Pacific. NCAA Football 14 (Xbox 360, PS3) - $54.98 at Sam's Club. Released July 9. List is $60. Metro: Last Light (Xbox 360, PS3) - $39.99 at Groupon. List is $60. Deal expires July 22. Fuse (Xbox 360, PS3) - $39.99 at Best Buy. List is $60. Deal expires July 20. The Walking Dead: Survival Instinct (Xbox 360, PS3) - $19.99 at Amazon. Next best is $43 at JR.com. Ni no Kuni: Wrath Of The White Witch (PS3) - $27.99 at NewEgg. Next best is $34 at Amazon. Deal expires July 22. Assassin's Creed: Ezio Trilogy (PS3) - $19.99 at Amazon. Next best is $38 at Rakuten. Guncraft (PC Download) - $10.50 at Green Man Gaming. Released last Thursday. List is $15. Deal expires July 19. The Walking Dead: 400 Days (PC DLC) - $2.49 at GameStop. Next best is $5 at Green Man Gaming. Xbox 360 Wired Controller for Windows PC - $24.99 at NewEgg. Next best is $37 at Amazon. Deal expires July 17. Nintendo Wii U Pro Controller - $24.99 at Best Buy. Next best is $44 at Amazon. Deal expires today. Free ship or free store pickup, depending on stock.